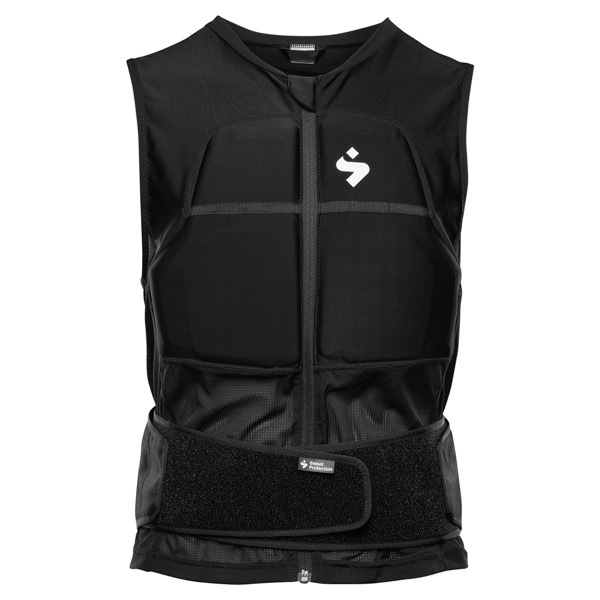 The Back Protector enduro Vest offers our latest within crash protection. Designed and constructed especially for Enduro racing, this vest is optimized for moving fast uphill and riding hard downhill. The vest has removable protection pads both in the back and the chest. Made of visco elastic soft foam from SAS-TEC it provides impressive multi-impact shock absorbing properties without compromising on comfort. The vest is perfectly tailored to be worn under the bike jersey. Additional features include a detachable storage belt with a compartment for hydration and spacious pocket bags for tools and nutrition necessary for the ride. The vest also has a back-strap system with attachments for the Arbitrator Chin Guard.